"disgraceful lack of customer service"
✅ Trip Verified | I’m still sitting here in this airport shaking and in tears waiting for my flight, after being treated like a jail inmate by the TSA staff. I am flying urgently to see my daughter who has been taken into hospital so I was already feeling anxious. The guy who checks passports was sat in his chair, morbidly obese, yelling at people in the line (it was 5.30am so not busy). Leaving people totally flustured. The lady standing by the scanners gave me a humiliating telling off for simply saying “excuse me, do I need to take my boots off for the scanner?”. Apparently I was “interrupting her”. A disgraceful lack of customer service and professionalism. I’m terrified to come back to this airport again. 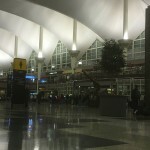 Not Verified | I do not remember flying into Denver and the experience be so gross! The bathrooms, the floors, the chairs! I don't know what happened, but Denver cut back on expenses and it shows through their hiring! The staff that works there are, I'm sorry to say, but the same customer service level as McDonald's! Maybe if they paid better, they would receive higher standards of employees. I watched a woman cleaning the floor with a dust pan bucket and broom, leisurley passing trash and picking up just some as my 8 month old b-lined it for old food, cups, etc. on a 5 hour layover. The bathrooms reminded me of truck stops, and the chairs smelled of - God only knows. They had holes and tears and rips across them as if the whole airport is falling apart and they are unable to afford maintenance. I will connect through Salt Lake City from now on. The train system works well, and the restaurants seemed fine. Not Verified | Horrible experience at Denver airport. I’m going to avoid going to Denver at all costs after this awful experience! I’m in the third trimester of my pregnancy and had the absolute worst experience. I got to the airport about an hour and a half before my flight departed and I found an extremely long line that you would have thought there was still a govt shutdown. This was on both sides of the airport. I was really worried about missing my flight after seeing the line but more importantly about waiting too long in line given my pregnancy, but the TSA person assisting on the line told me it would be no more than 20 mins. It took over an hour to go through and when I asked agents to assist me given my late pregnancy state, they kept telling me there was nothing they could do and I would have to wait in line. I missed my flight after having to run through the airport and had to deal with hyper ventilation at the closed gate where my flight was departing from. What a nightmare of an experience! Are these people human beings! Do they have any empathy? 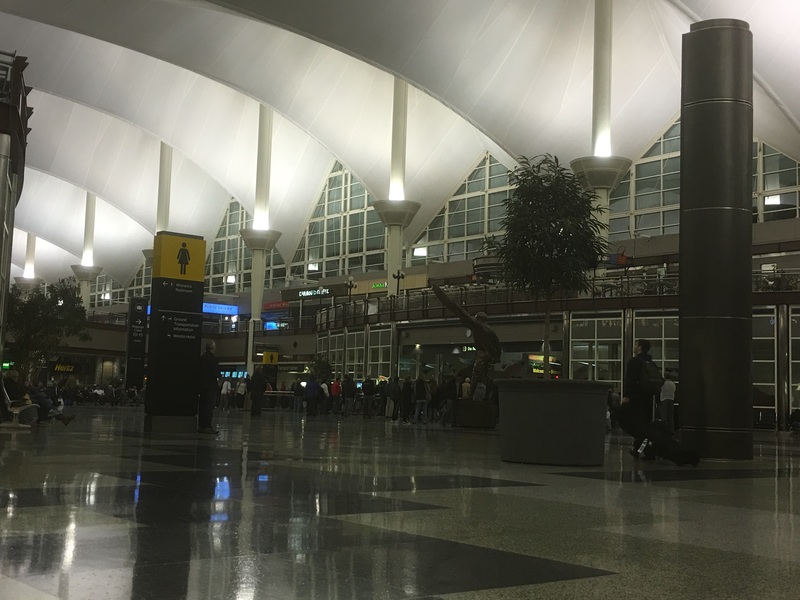 Not Verified | My wife and I live in the Denver area so we are forced to use this airport, we both have TSA PreCheck. I'd highly recommend getting here at least 3 hours before your flight, even if it is at 6AM. This last time we had a 6AM flight and when we got to PreCheck we were treated as normal flyers, had to remove belts, shoes, glasses, hearing aids, empty pockets of everything. TSA agents acting like demi-gods, screaming and yelling. 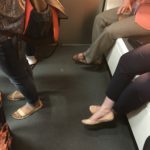 We travel internationally and have never experienced the ineptitude, rudeness and callousness of such people in other countries. Wife and I have decided to drive to Vancouver next time we travel overseas. "avoid this airport in the future"
Not Verified | I will pay extra to avoid this airport in the future, international and domestic. Arrived on a packed flight from Frankfurt, Germany. Passengers were limited to the use of two computers for mandatory self processing (scan passport, take your photo, declaration questions...) at the first check point. I heard an agent say this was to slow down people getting to the next backed up line at the customs counter. 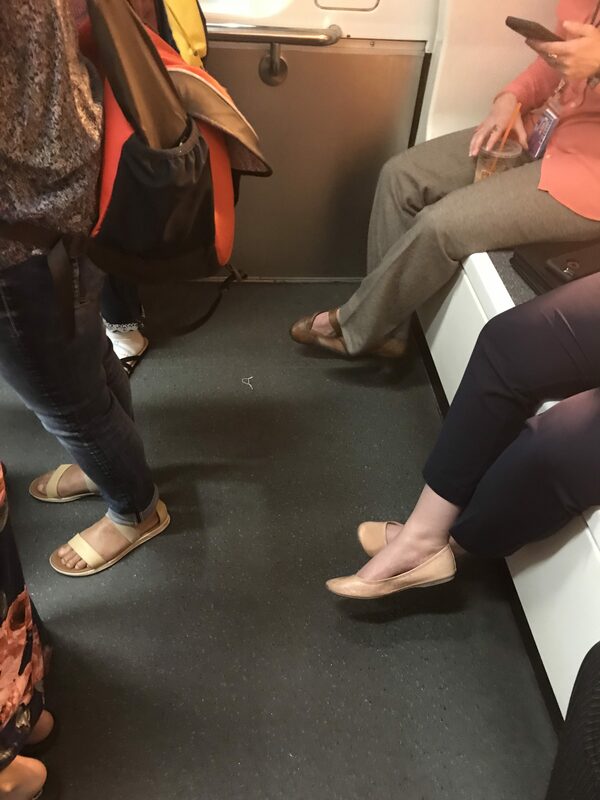 An efficient agent should have announced those needing to make a connecting flight have priority, and then got them to the front of both lines. The customs backlog created bags lying around baggage claim. Self absorbed and rude staff in that area were too busy talking with coworkers to answer my desperate need for directions; a body scanner was down when I finally reached the congested security check point for my next flight. A lot of staff standing around instead of reloading needed trays. Never saw one cart and driver, so had to run to final destination. Again, an efficient manager could have projected the need to have carts and drivers available to assist those of us trying to make connecting flights. Yes, signage is lacking or poorly done; yes, too many staff are without basic customer service skills, lack creative problem solving skills, and take no initiative. Denver airport needs an intervention. Not Verified | Complicated, confusing, and exhausting, poor customer service. My luggage was misrouted, multiple staff gave me bad advice and misdirected me, I had to run from gate 38 to 13, then missed a flight because I didn’t have time to get there. Not Verified | I agree with all the reviews below. Absolutely dreadful! It is hard to bring me to tears but this airport did it. The frustration of signage, untrained staff, security issues. I left my coat as I was helping an elderly man with his cane. To go back to where I left it, South security, took over an hour to find anything with the signage. My arrival a week before was confusing. Baggage signs, go upstairs? Who has baggage upstairs? Which terminal, East or West? I got asked that for 2 pickups and nowhere does it say East or West. The hotel transport lady finally asked what color signs I as looking at. Nowhere does it say you will be taking a train to baggage. I went on an escalator and was by myself in a small highway. Apparently this was a train waiting area with no one there and no signs. Scary to say the least. Go to level 5 which turns into level 6 and after you take 2 elevators, an escalator and a moving walkway you might find a gate that also has 3-4 flights out of one gate and they are all leaving within the hour. I too, will never go near the Denver airport. I thought I might like living in Denver but this sent me running. Not Verified | I’m absolutely appalled at Denver and United Airlines as we were 2 hours late for our connecting flight and had a 7 hour delay. By the time we got to our final destination one of my bags was missing a wheel as my suitcase had been thrown onto the carousel to board the plane and my wheel snapped off. My other bag had no handle left on it and the lock was missing. And to add to that these were brand new bags. Not Verified | Extremely poor experience. We arrived at 12:30am to return our rental car. The signage was very poor. We drove around for 30 minutes or more until we could find our rental server. Then we waited until the American desk opened. The person who took our luggage said to proceed to our gate in the A terminal. There was no available security area opened. The sign on the west side said it was closed and to proceed to the opposite terminal. We walked over to the east side and that wasn’t open either however there were approximately 20 TSA agents behind the glass. Another passenger walked by and said we needed to go to the South security. I understand renovations are occurring but that was extremely poor signage and service. I won’t fly through Denver ever again.